Quick! Grab those hidden treasures! How many times have you gone into a thrift store to browse, and debated about an item and wondered if the price was high, only to wander out without it? Did you decide later to go back and get it, only to find it gone, snapped up by another thrift store browser? I use thrift store finds in many of my crafts – usually if it’s something I can plant some succulents in, I’m happiest. It is essential to start training your eye to see precious treasures in mundane and worn out articles; try to see past the condition it is in now, and perceive the potential, and also look at it with an unbiased eye; just because it once had a certain use, that does not mean you have to use it that way now. If it’s rusty metal, or metal that’s not rusty yet, I’ll take it. I like wire gadgets that could be stuffed with moss and used for a planter. Find out how I make metal look old. Baskets of most descriptions especially if they’re large I’ll use for hypertufa molds – they have to be the right price, no more than a dollar or two at the most as they’re sacrificial and only have one use. This is good in a way, as the resulting hypertufa planter is unique. See more about how to make these intriguing Twig Handled Hypertufa Baskets. 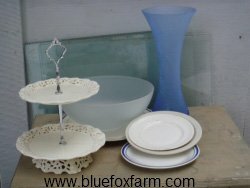 Glass or pottery or china dishes and vases are great thrift store finds, the bigger the better. I’ll use these for garden totems, stacking them up in a pleasing arrangement and then gluing them together. 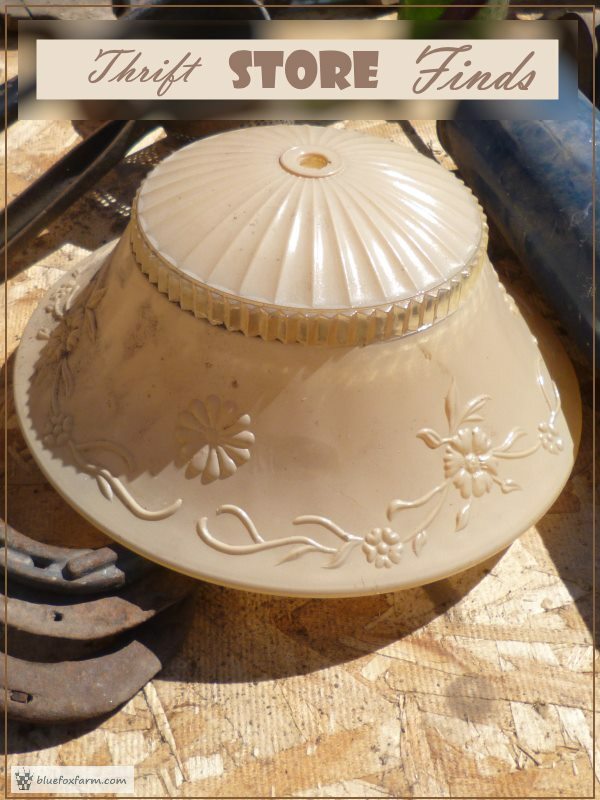 Outdated lighting fixtures get made into fabulous and charming rain chains, or used as gazing balls, or finials for the top of a twig tuteur. Some people are lucky enough with their thrift store finds to get shoes and boots that can be planted; others look for purses to put succulents, house plants or annuals in for a bright splash of colour. These look great hung on a silvery barn board fence. Other thrift store finds that should be quickly grabbed are wooden items; small night tables with drawers, or even old suit cases. They can be refurbished as perfect shabby chic accents, and are doubly useful as you can store magazines, collections and such like in them out of sight. 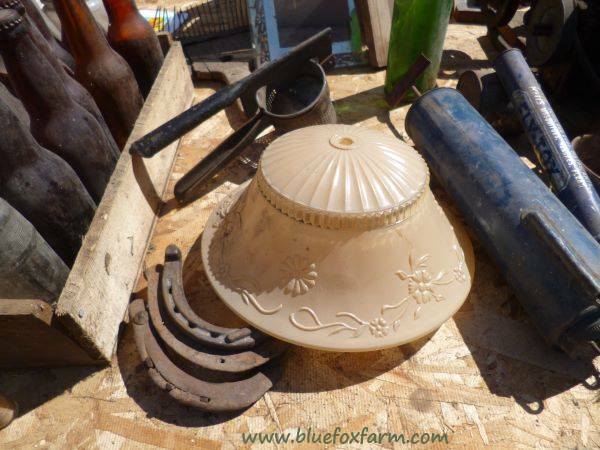 Rustic salvage of all kinds; farm related objects, anything with a gardening theme such as buckets, watering cans (the older and more battered, the better) and tools or strange artifacts can be upcycled into garden art for your junk garden. Whatever your preference, thrift stores, flea markets, auctions and garage sales are a prime hunting ground for salvage to make into crafts. Make sure you have room in the car for some of these great thrift store finds.